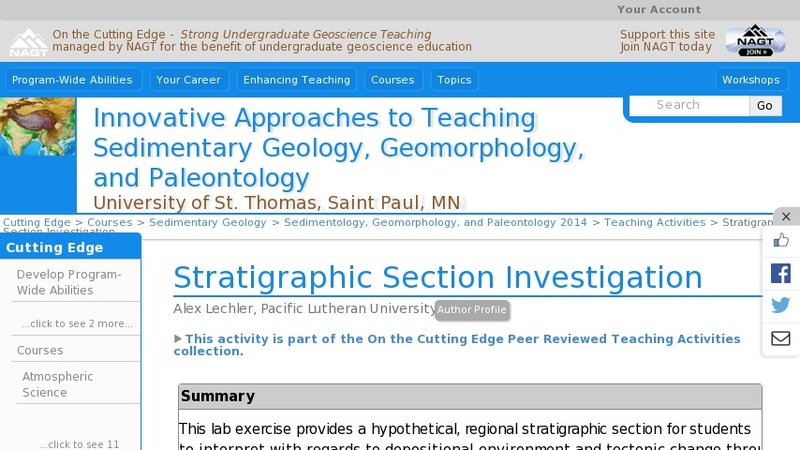 This lab exercise provides a hypothetical, regional stratigraphic section for students to interpret with regards to depositional environment and tectonic change through time. The assignment is designed to develop and evaluate student scientific writing skills by having students submit a 2-4 page (double-spaced) report detailing the stratigraphic history represented by the section. A primary focus is placed on identifying how and why sedimentary environments change through time and how this change integrates into a broader story of the geologic history for the region in which the section is preserved.